In the project, we support teachers to develop strategies by means of which they will be able to systematically stimulate and assess the selected transversal skills (e.g. critical thinking, collaboration, communication, digital skills, creativity, etc.) supported by ICT. Because of this teacher’s role/engagment, their students will be able to construct their own developmental e-portfolio, thus being involved in all stages of the learning process: from raising the self-awareness of prior knowledge, presenting skills, planning outcomes, setting the success criteria, co-planning of strategies, collecting evidence and feedback on their activities or products, to the interim and final evaluation of progress. The expected project outcomes are a variety of authentic tasks oriented towards stimulating the transversal skills in various subjects, a number of current teaching preparations with corresponding teaching materials, a project website, teachers’ evaluation reports about the project effects, video material with the emphasis on the students’ and teachers’ experience, etc. 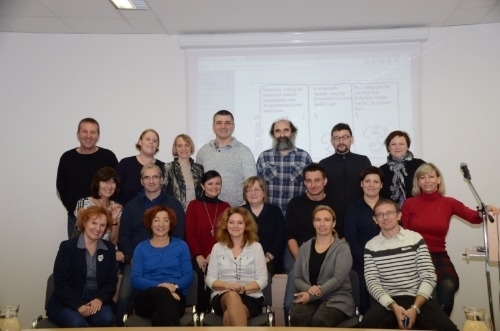 National Education Institute lead the Pilot Implementation (WP 4); oversee the design and implementation process of the field trials across all Partner countries; along the other Partners organise and administer the field trial in Slovenia according to the agreed protocol. Key Role in WP 3 on the development of CPD materials for teachers. Provide feedback and support the development of the ATS Model (WP1). Participate in the final conference, share country findings and recommendations.